New long jewelry tassels in 19 fun colors with silver thread around the neck. 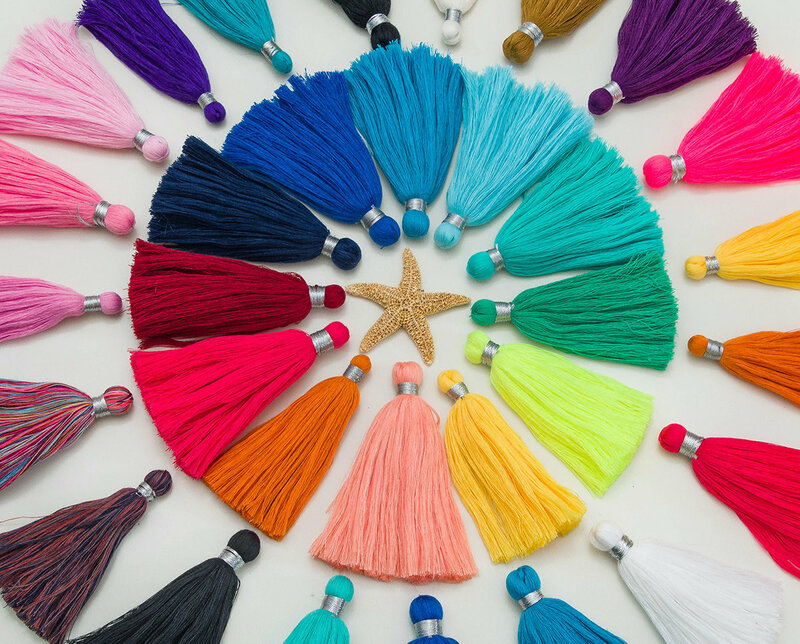 These tassels were hand crafted for our shop by artisans in India. 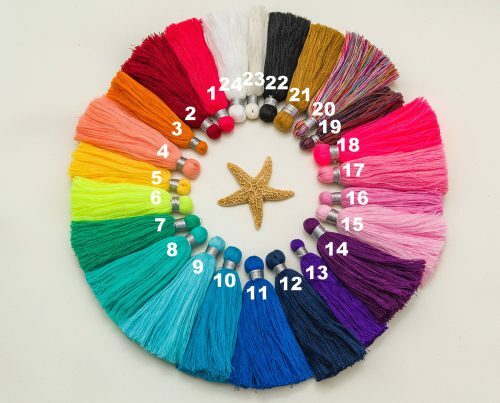 These tassels are thick and long with a length of approximately 4 inches and the top of the tassel head measuring approximately 15-18mm diameter. Also available with gold and matching color binding! 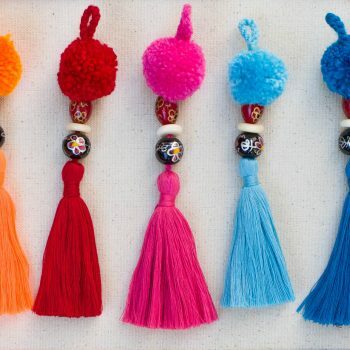 Kindly note, these tassels were handcrafted by artisans in India so please expect some variations. Size’s are approximate and shades of color may appear lighter or darker in different on computer screens.